Various agencies around the world report that between 1 and 7, or 1 and 4 men experience abuse in their intimate partner relationships. The statistics depend on the agency and variations in statistics are often a result in the challenges men face in reporting abuse. 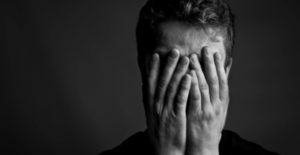 In this article, Randy Flood, the co-founder of the Men’s Resource Center of West Michigan, discusses various reasons for why it is difficult for some men to reach out for support when they need it. A man experiencing violence at the hands of an intimate partner can challenge traditional ideas of masculinity, where when boys experience difficult situations they are expected to “man up” or “toughen up” and just deal with it. This enculturation to avoid asking for help also spans across issues of mental illness such as depression and addiction. Abuse of men by women has been turned into parodies by the likes of SNL and is also seen as humorous culturally as one victim in Australia, Dylan Salanitri reposted a bloody photo of himself on Facebook in September to reveal that he had previously been abused by a girlfriend. People initially found it hilarious, even though it was not funny at all. Some encouraged Dylan that he should have “put her in her place”, in which case Dylan would likely have found himself on assault charges and facing prison time. This is a difficult topic as there are so many incidents globally of violence resulting in homicide of women by intimate partners, coupled with cultural norms of masculinity where the man is expected to be tougher, more powerful and stronger; that victimization of men by their intimate partners rarely goes acknowledged. There is still very little acknowledgment of violence against men as an issue, which is why Free Yourself Global addresses domestic violence within families… and acknowledges that men, women and children can be abused in families and also men, women and children can be the abusers in a household, with increasing rates of violence amongst teens towards mothers and also elderly abuse is a rising phenomenon. To read the full article click here. To share your story of abuse and recovery or of resolving violence for yourself visit www.freeyourselfglobal.com and share your story through our media uploader “Submit your story” as we work collectively and globally to heal violence in families.